These folks always take care of me and I’ve been going to them since 2003 when they first opened up and Acuras like the Integra were regularly/normally serviced. Bought two vehicles from them, and would buy another. They treat you well, and they do right by their customers. I have a 2013 TSX and it is my baby. I always take my car to Sterling Acura to Mitch Glosson because, well, he usually knows what my car needs to keep it going strong. From the moment I arrive he greets me with a smile and from there, I road the snack and grab a coffee. I get it takes time for for a routine maintenance and laugh to myself when people complain about the time it takes but I tell you I’d rather they take their time to make sure my car is running efficiently. 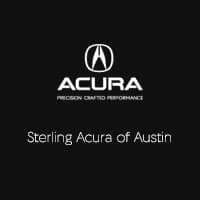 Anyways, just wanted to say give a shout to Sterling Acura. I had a great buying experience. Everyone was friendly and very helpful. I would recommend them to anybody who's in the process of wanting to buy a car. From beginning to end my experience with Sterling Acura’s service department was top notch! I would highly recommend them! Jessie/Adrian helped me and my wife with the lease of our new 2019 MDX. The staff was knowledgeable of the lease process and walked us through the entire process from start to finish. They were prompt, attentive and answered all of our questions. I highly recommend reaching out to Sterling Acura for your next car purchase or lease needs. Best customer service and experience ever!!! !